Living In A Same House Along With Partner Is Not An Ultimate Success A Marriage Rather The Real Success Of A Marriage Is Hidden In Something Else. Marriage is not only meant for ecstasy but it is a mixture of ups and downs and sharing happiness and sorrows together. Do you listen to your spouse and understand him/her? Or just ignore what he/she says to you? Your marriage requires you not only to hear but listen to the partner and take it into the consideration what your partner says. Even though, you may disagree with your spouse but think for once by putting yourself in his place. Don’t get aggressive immediately over something you don’t like about him, show patience and ask him politely. Give your partner your confidence so that he can tell you everything without any hesitation. Conversely, if you can’t handle your tough times with patience then it will become hard for your relationship to survive. So for a long term successful marriage both husband and wife are required to take this element seriously. Generosity is a key for a lasting and successful marriage, but only when both husband and wife are generous with each other. Usually, it happens that the couple start taking their relationship for granted and don’t give value to it. If you don’t recognize the things your partner does for and don’t express your feelings for him then, believe it or not, this behaviour works as poison for your marriage life. Be grateful to each other, exchange gifts and do something nice for your partner. Show your love, express your feelings for him, care him and be kind to him. 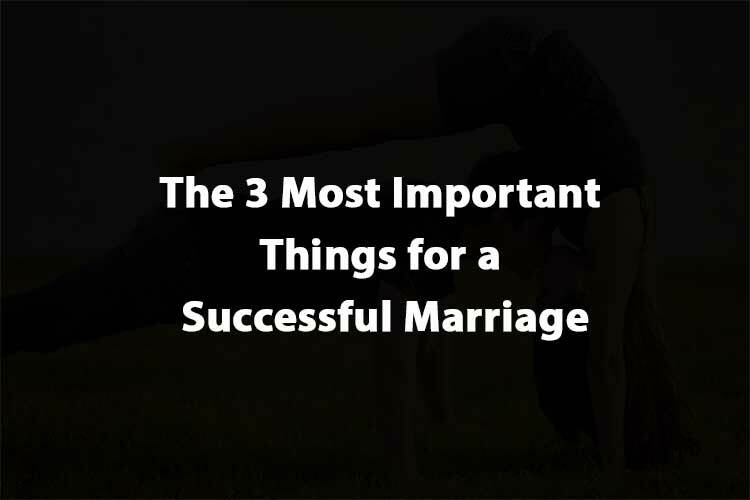 These all things are as essential to be present in your relationship as your marriage is! The last and important element is Kindness. Being a sympathetic partner, you can have everything you desired for. You have your partner’s trust, his care, his importance, his love and everything that a perfect successful marriage contains in it. If your partner is passing from tough time don’t be like “I don’t care” or “It will be alright” and never show wrong gestures like shrug your shoulder and rolling eyes that make him feel alone. Instead share his burden by doing this work along with him or give him the good piece of advice and whatever he needs, in that case. So make your relationship a bliss for you by going such things.